» The Advertiser Readers: A Belated Welcome! The Advertiser Readers: A Belated Welcome! Adelaide's most influential female blogger. 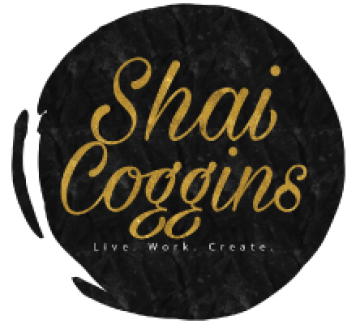 One cannot omit Shai Coggins, a professional blogger, who not only keeps the postings prolific but keeps her blog up to the moment in the blog design stakes. She is a go-go-go multi-talented person - artist, psychologist*, community strategist - and, among other things, is one of the country's experts in blogging. Her blog is a mix of diary and reflection and geeky news. Okay, seriously, thank you so much Samela and the rest of The Advertiser crew. And, thank you to all new readers and visitors from Adelaide (and beyond) who came here after reading the article. I've already received a handful of wonderful comments/emails. And, thanks too to all my fabulous Adelaide friends who sent congratulatory/caring messages. And, of course, a special thanks to Lee Hopkins for scanning the complete article and sending the file (a whopping 200 Meg). What a patient, caring person 'eh? Yes, I actually missed the paper that weekend. We usually buy a copy - especially the Saturday one - but sadly missed it that day. That's why I was confused when I began to get some comments/emails about getting mentioned on The Advertiser. I thought they were just referring to an old piece that was published about me a couple of years ago. It was only after a Tweet from Lee that I found out that there was indeed a different article published (another yay for Lee). In any case, it's nice to see Darren Rowse's blogs mentioned too (Problogger and DPS), as well as Karen Cheng's. Non-Aussie blogs like Wonkette, SlashDot, and Dooce were included too. Yay bloggers! About Page - For a quick background of this blog/blogger. Highlights - Some of the most popular/most favourite blog posts. Tell me about you - A post where you can introduce yourself. 52WoC Central - An ongoing project for bloggers. Forum - A place to chat with other bloggers in this blog's community. Archives - A collection of all blog posts, organised by date/categories. Galleries - Some of my artwork. To keep in touch, you can subscribe to this blog's RSS feed and/or receive updates by email. You can even visit via mobile phone. You can also interact with me in various social networks like: Plurk, Twitter, Facebook, and LinkedIn. So, take your time and hope you find something that you like in here. And, if you have any questions, just ask away. And, if you like to say hello, please do. I'd love to hear from you. Shai has been managing and blogging here at ShaiCoggins.com for 17 years. Here, she writes about creativity, productivity, and how to recharge for a better, happier lifestyle. She is the author of Today: Life Journal, Colour Bliss: Kaleidoscopes, and a little known children's book. A serial entrepreneur, Shai also currently runs Vervely.com, a boutique digital media agency offering online content, community, and conversion marketing services. Her blogging experience and digital work have been featured in various media, including being listed in Fast Company's "Most Influential Women in Technology" list. Originally from Manila, Shai lived in Singapore and the USA before moving to Australia with her British husband. They have two children, a pet bunny, and a rambunctious rescue Labrador.